Ahhh!! Omg I went to my FIRST ever book signing today for 50 shades of Red, White & Blue by Leesa Harker. 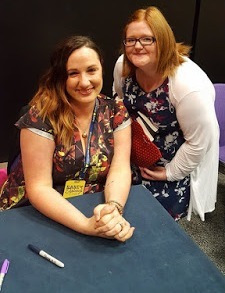 If you wanna know what I got up to at the book signing the link below will bring to my blog post telling you ALL about it! Here is me with thee author Leesa Harker! How did you spend your Saturday? Did you watch the video?